Geri Landau Squire has extensive experience representing clients in family law matters. Her practice has focused on family law for most of her 30-year career. She is certified by the Supreme Court of New Jersey as a matrimonial law attorney and is also certified as a family law mediator. She focuses her practice on adoption, alimony/spousal support, spousal maintenance, child custody and parenting time, child support, divorce, domestic violence, post-judgment applications for modification and enforcement, and relocation of spouse with children out-of-state. Ms. Squire is also a court-approved family law mediator. Ms. Squire serves on, and has chaired, two Early Settlement Panels, which consist of experienced family lawyers who devote their time to reviewing settlement proposals and conferring with attorneys and litigants in an effort to resolve contested matrimonial cases. Ms. Squire has taught paralegal courses, authored chapters in the New Jersey Transaction Guide (published by Matthew Bender) and lectured to various community groups. 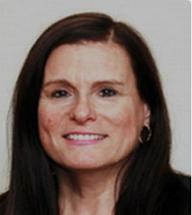 She was also an adjunct instructor of legal research and writing at Seton Hall University School of Law. Ms. Squire has received an AV Preeminent rating by Martindale-Hubbell. She was included in the list of 2015's Women Leaders in the Law, published in Fortune magazine. In addition, she was included by (201) Magazine in its list of Bergen County's "Top Lawyers" in 2015, 2016, 2017 and 2018, in Matrimonial & Family and Custody.